I finally paid the piper for the bad day in which I ate a slice of pizza and four pieces of chocolate. I gained 1.5 lbs over that fiasco. I’m moving on. My fave. 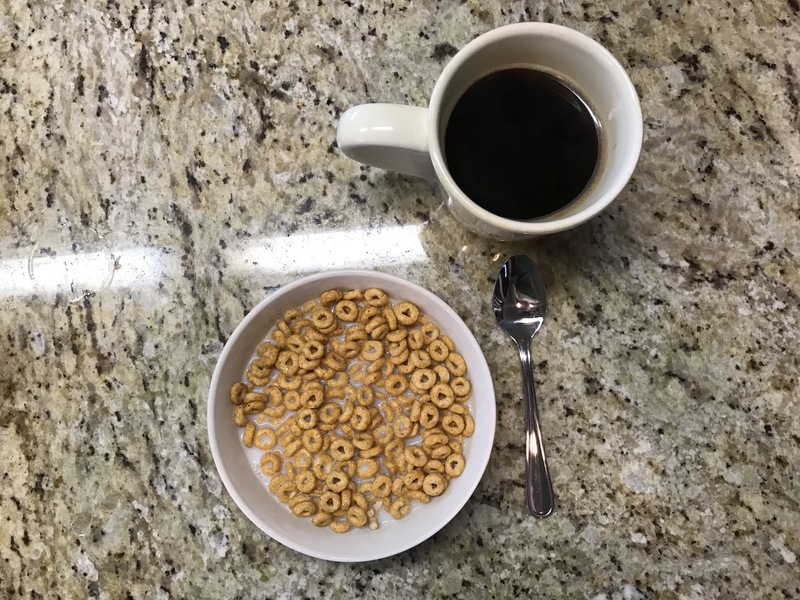 3/4 cup Pumpkin Cheerios and 1 cup skim milk. Black coffee. 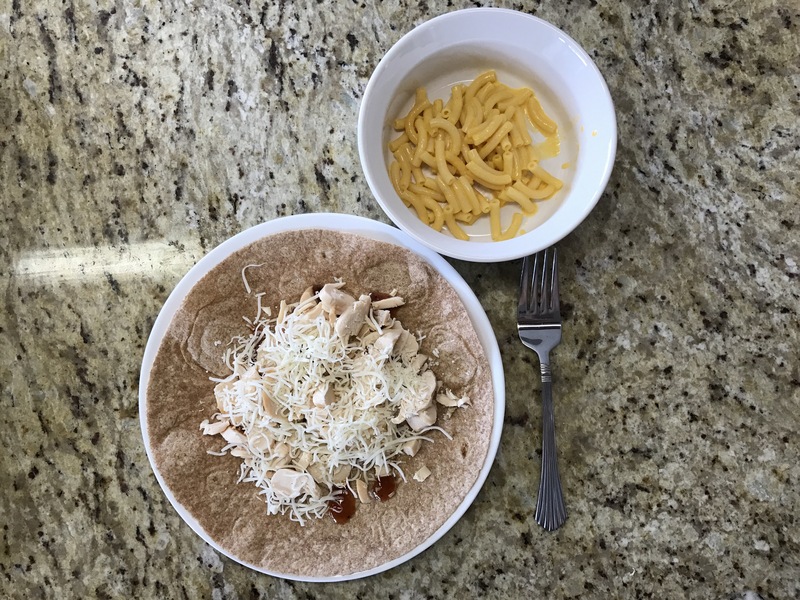 Whole wheat tortilla, rotisserie chicken, 1 oz mozzarella and BBQ sauce. 1/4 cup mac n cheese. 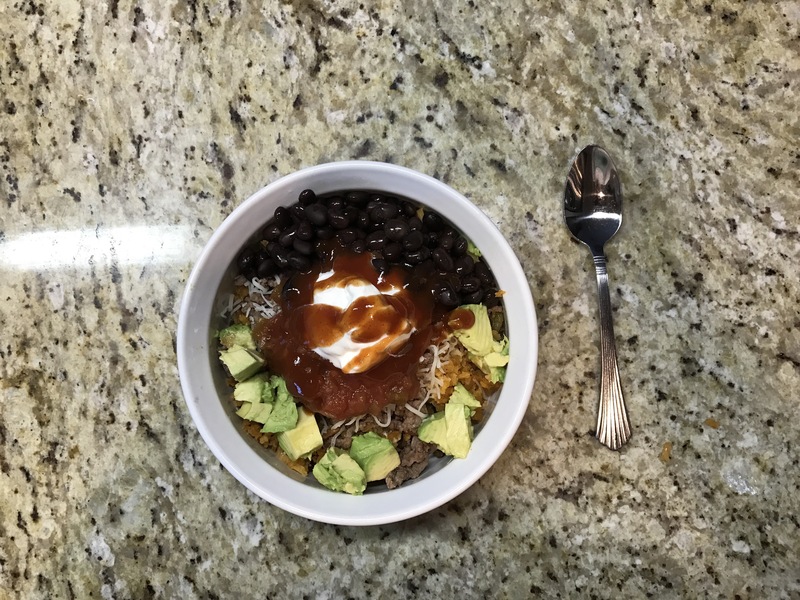 Brown rice, 1.5 oz ground beef, black beans, salsa, avocado, sour cream and chipotle taco sauce. I could eat this every. Single. Day. I had NO chocolate and no pizza today.